The world of commerce is undergoing a courageous transformation. The technology advancements of big data, cloud computing and social networking is huge. But when coupled with the onset of 50 million millennials about to enter the global workforce it spells revolutionary change. As the historic elements of HR are being assimilated and outsourced and new elements such as content strategy, data science and social media optimization transform workforce operations, CEO's are acutely aware that organizational stability and worker output must not only sustain, they must accelerate. Enter the role of the "Chief Culture Officer." Without a vibrant culture of alignment, recognition and innovation even the best viability strategies miss the mark. The appointment of a Chief Culture Officer ensures that the evolving strategies, ideas and implementations generated at all levels of the organization are in alignment and in sync with the company's overall mission and business imperatives. And it doesn't stop there. In today's dynamic global marketplace, corporate culture must be treated as a living organism, one that survives and thrives in a state of constant change. The culture of a workforce must be grown, cultivated and constantly challenged if a company is to seize the competitive advantage. Investing in optimizing workforce culture has already started paying off. Just ask Netflix CEO Reed Hastings. He outlined the driving force behind their exponential success in his culture deck called "Freedom and Responsibility." According to Hastings, the sole reason Netflix was able to overcome crucial missteps that could have taken the company down, (like when they divided the company up in 2011 and lost 1 million customers in 24 hours) was that their culture of transparency and openness enabled them to speak directly to their consumer base and quickly rectify the breakdown. And the payoff? Shortly thereafter, their profitability exceeded 245%. In addition to expanding profitability, employing a Chief Culture Officer substantially increases employee engagement and ensures a compelling corporate identity that trumps mere "branding." Beyond the "what" and "why" of a company's philosophy and reputation exists the essential distinguisher of "who." Clarifying "who we are" excels beyond "what we sell" or "why we sell it" because it gets at the heart of what inspires employees and what attracts customers. Given the massive shift towards personalization and unique identity in today' social-awareness driven marketplace, establishing a unique "who" in terms of cultural identity is essential. For example, establishing a "who we are" culture that honors mufti-generational talent and creates performance-enhancing bridges between, Boomers, Gen X, Millennials and Plurals is worth its weight in gold. Why? Because the rising wave of young consumers not only consider referrals shared by other customers, but comments by employees of the very companies they're considering buying from. "The rising wave of young customers not only consider referrals shared by other customers, but comments by employees of the very companies they're considering buying from." And how do consumers acquire this decision-making data? Two words, "social media." Those courageous leaders who take action to leverage the rising power of cultural identity and how it influences consumer buying trends will be the next true champions of change and profitability. Lastly, and uniquely, a Chief Culture Officer understands that business has become an emotional experience for everyone involved, a human experience that must be nurtured, promoted and developed if a company is to thrive. 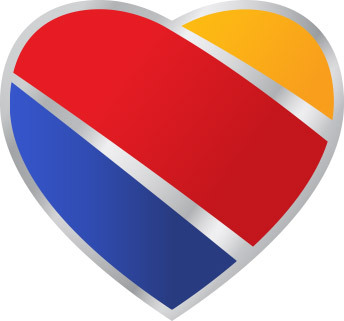 Take for example Southwest Airlines' new cultural motto, "Our planes' hearts make them more than machines." While our technology is advancing rapidly into the stratosphere of "automated clouds," none of us likes the vaporous experience of being jerked around by a litany of automated phone options that never lead to what we really need. And what is that? To just make contact with a living, breathing human being who speaks our language and who cares enough to recognize and serve who we are. Now there's a culture worth investing in.